With a new Afterword to the 2002 edition. 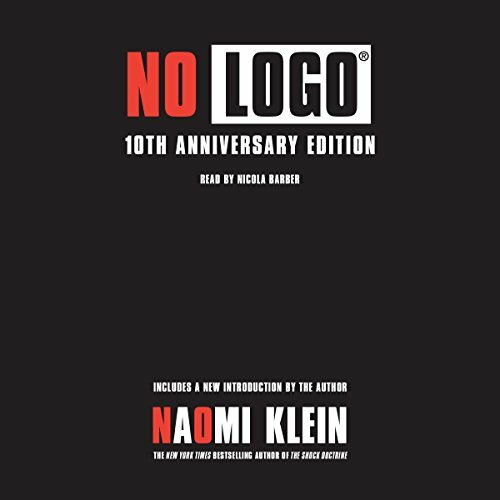 No Logo employs journalistic savvy and personal testament to detail the insidious practices and far-reaching effects of corporate marketing—and the powerful potential of a growing activist sect that will surely alter the course of the 21st century. First published before the World Trade Organization protests in Seattle, this is an infuriating, inspiring, and altogether pioneering work of cultural criticism that investigates money, marketing, and the anti-corporate movement. I can't say, I had to stop listening in the first chapter due to the terrible narration. Overly enunciated and totally the wrong "tenor" for this topic. This narrator would be good for reading childrens' stories or chick-lit, but not for a serious topic. Surely there were other female narrators who could have brought some heft to the material. 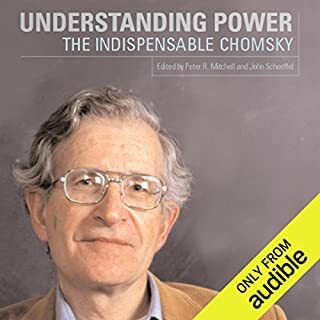 I wanted so much to listen to this book, but the narration makes it unlistenable. Why is there this trend toward extremely over-enunciated narration. It's irritating. 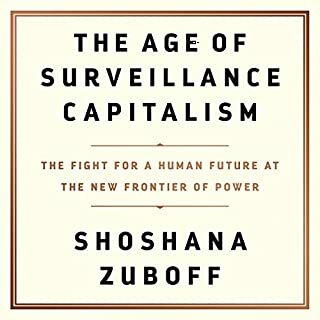 Such an important book and it sounds as if a computer was used to tape it. Every single plosive t or p just popping like a pair of castanets . . .. I was eager to hear the content but found it painful to go through because of the narrator. Her intonation and frequent inhalation degrades the quality of the experience.. 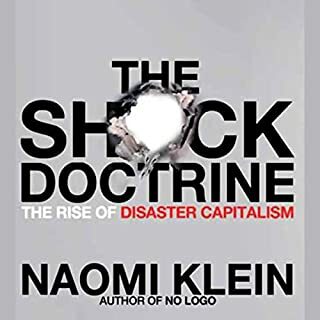 Whenever I read one of Naomi Klein's books, I find myself in a perpetual state anxiety and indignation about the injustice the powers that be (the 1%) force on people less fortunate than they are. 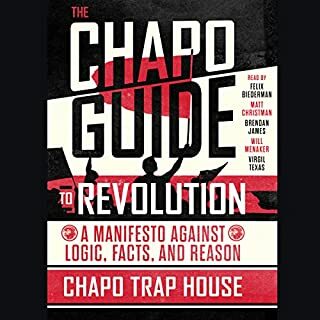 Would you consider the audio edition of No Logo to be better than the print version? No. In fact, I had to stop listening to the audio version and revert to the print version because the performance was so stilted. Nicola Barber over enunciates every single word. Her reading has the effect of causing the listener to focus on her performance instead of what is being said. Really awful and very frustrating because this is an interesting book. 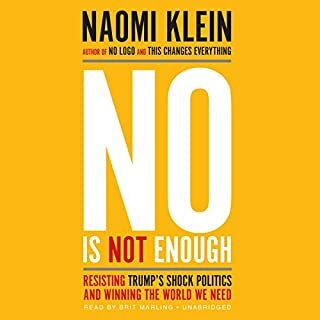 As always Naomi Klein has presented a well researched and fascinating report on a timely subject. She does great work. I recommend this title be read in the print version unless you can get past the reader's performance. The content was interesting and compelling, but I thought the narrator was a bad choice. I was expecting more of a documentary-style journalist-type narrator for this subject matter. Instead, all I could hear was this woman's quick, loud inhales, and too-crisp annunciation. I couldn't finish it. 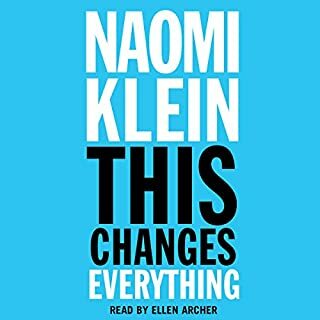 I really enjoy Naomi Klein's lectures and have learned a lot from them so I went back to listen to this while I worked. The book does feel a bit quaint in its' references and scale now (talk of book store monopolies, the Internet in nascent form & guess jeans) but it all still applies with the names of players changed (in some cases not) and the markets expanded. Worth your time for the breakdown of companies shifting away from manufacturing product to persona, if nothing else, and there is a lot to be gleaned. Check it out if you want to get a sense of where American manufacturing jobs went and where your shirts come from. The problem I had was a small one: the robotic phrasing of the narrator was distracting and when she read out colloquial terms it became comical. I don't mind her mispronouncing the name of portland's Willamette River but I found it derailed my listening when she would read out dated slang. If that kind of thing bothers you, prepare yourself for a stilted listening experience. Otherwise, you'll be fine!